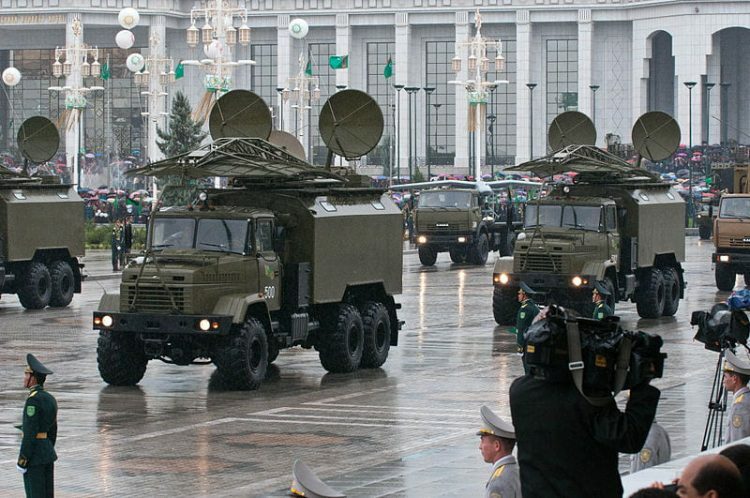 According to the import/export tracking website ImportGenius, Israel has received new-generation long-range passive radar complex, called the Kolchuga-M.
Israel’s company Airsom Ltd. has received Ukrainian-made Kolchuga-M passive radar system, according to ImportGenius website. The Kolchuga passive sensor is an electronic-warfare support measures system developed in the Soviet Union and manufactured in Ukraine. Its detection range is limited by line-of-sight but may be up to 800 km (500 mi) for very high altitude, very powerful emitters. Frequently referred to as Kolchuga Radar, the system is not really a radar, but an ESM system comprising three or four receivers, deployed tens of kilometres apart, which detect and track aircraft by triangulation and multilateration of their RF emissions. The Kolchuga station is equipped with five meter-, decimeter-, and centimeter-range aerials, which provide for high radio sensitivity within a 110dB/W – 155 dB/W swath, depending on the frequency. According to the GlobalSecurity.org, the 800-km detection range has been achieved only by the Ukrainian Kolchuga. The best the U.S. AWACS can do is 600 km, while the ground-based complexes Vera (Czech Republic) and Vega (Russia) can reach out up to 400 km – half what the Ukrainian complex can reach. The Kolchuga’s lower limit of the working frequency range is 130MHz and is the lowest of all analogs. For the AWACS it is 2,000 MHz, for the Vera it is 850MHz, for the Vega it is 200MHz. The Kolchuga mobile passive electronic long-range monitoring radar system could be used during exercises of the Israeli Air Force. Pakistan has expressed interest in purchasing the Kolchuga radar. Ukraine has offered it to Pakistan to counter India’s Swordfish Long Range Tracking Radar. In 2002 the U.S. State Department accused Ukraine of selling Kolchuga to Iraq, based on recordings of the then Ukrainian president Leonid Kuchma supposedly made by Mykola Mel’nychenko. This was followed by political steps from United Kingdom and the United States. No material confirmation has been found in Iraq. See Cassette Scandal for further information. Unconfirmed reports in September 2006 suggested a sale was made to Iran[ although this was denied by the Ukrainian government.